I have been approached by Emma Abeyaratne, a researchers at the Cairnmillar Institute. 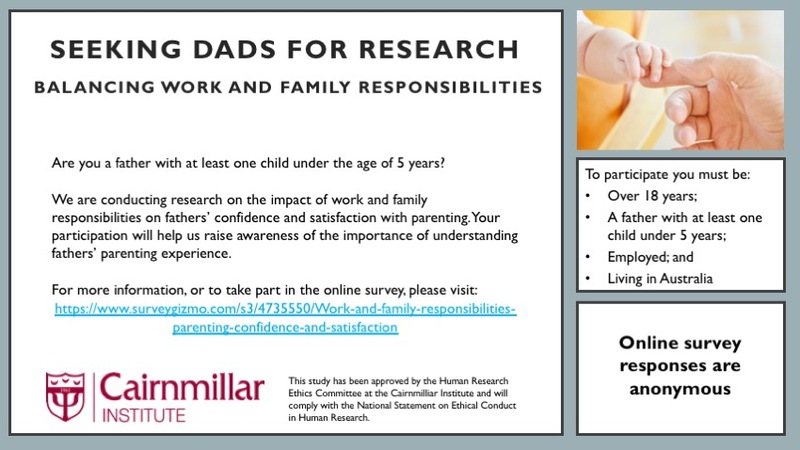 She is conducting research on the impact of work and family responsibilities on fathers' confidence and satisfaction with parenting. 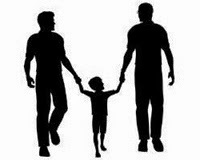 She is after some gay dads to participate in the online survey. You are invited to participate in a research study being conducted by the Cairnmillar Institute in partial fulfilment of a Master of Psychology (Clinical). 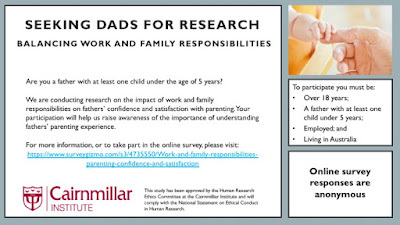 The study is investigating the impact of competing work and family responsibilities on parenting confidence and satisfaction in fathers with young children. The survey is completely anonymous and should take no longer than 15 minutes. If you are interested in participating and meet the recruitment criteria, please follow the link for more information and to begin the survey. Please feel welcome to share this post with anybody you know who may be interested in participating.